It was February or March in 1997. I had put together a ragtag collection of players for the annual Southern Tagalog Regional Athletic Association or STRAA. We were runners-up the year before in Cavite City. However, only Rommel Cabrera, Romualdo Yuson, Alvin Malabuyoc and Chocolate Osabel from the previous year’s squad were still around after everyone else graduated in March 1996. 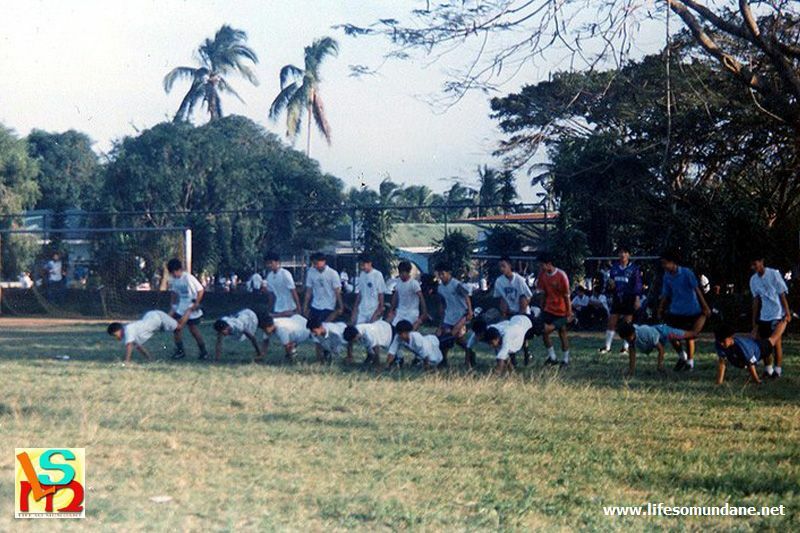 Thus, this 1997 team was made up of newcomers promoted from the Under-16 team and even fresh new recruits such as the prodigious Eldrich de Villa, a mere sophomore who joined in midyear. To make a long story short, I honestly did not think that the team stood a chance of surpassing or even just duplicating the previous year’s silver medal finish. There was also an unwanted complication that year. At this time, I was still Director for External Affairs. Apart from doing the school’s marketing work, my office was also in charge of all linkages. 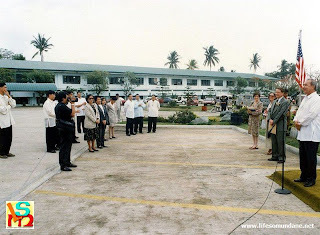 Thus, whenever the school received official guests, I was naturally expected to be at the front line. 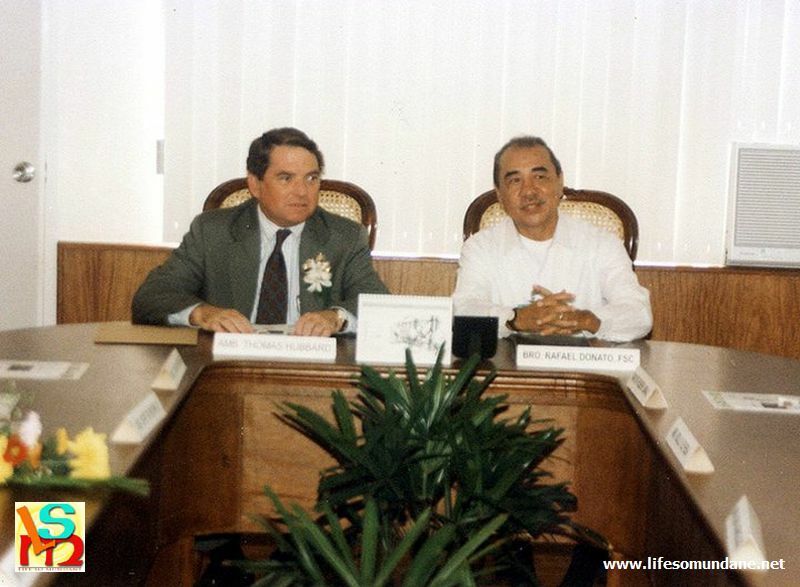 As things were, Thomas Hubbard, then United States Ambassador to the Philippines, was quite friendly with the school President at the time, Brother Rafael Donato. The latter sat in the Fulbright Board of Directors and was on friendly terms not only with the Ambassador but also a few other United States Embassy personnel. 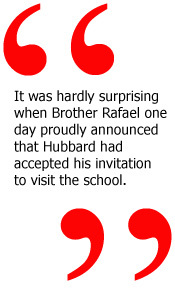 It was hardly surprising when Brother Rafael one day proudly announced that Hubbard had accepted his invitation to visit the school. Since I was Director for External Affairs, my office was placed in charge of the visit. It was not everyday that I was assigned to receive the American Ambassador, true. But I had a great amount of experience in events management and was not at all fazed by the scale of preparations required. Instead, I was mortified to learn that the Ambassador was due to visit on a Wednesday. Any other Wednesday would have been fine; but Hubbard’s arrival just happened to be on the week of the STRAA! If the STRAA was being held somewhere near like Cavite City or Sta. Cruz, there would not have been a problem. I would have simply travelled to the venue for matches then returned to school to attend to my chores. This year, however, the STRAA was being hosted by the city of Calapan in Oriental Mindoro. Day trips to the games were out of the question. Since it was the American Ambassador arriving, my not being present was also out of the question. This was the sort of thing one could not delegate to the staff. Besides, Brother Rafael would have peeled off my scalp with a jungle knife if I so much as dared to ask to be excused. So thus, I had to send the team to Calapan under the care of an assistant. I gave everyone detailed instructions and waved them off the week before the Ambassador was due to arrive. Although I could not travel to Calapan with the team, I certainly had every intention of hopping onto an inter-island ferry the day after the Ambassador’s visit. That trip, however, was strictly conditional. At the time, the football competition of the STRAA used this totally inconsiderate format called the double elimination. In a nutshell, the format went like this: after the first round of matches, all winners went into the winners’ bracket and waited for the losers to knock each other out. The losers played each other in what was called the losers’ bracket and sometimes played two or three matches in one day. Any team that lost twice was eliminated. With a stronger team, I would have booked my ticket ahead of time. But this was a new and inexperienced team that I sent to Calapan; and the prospect of it getting to the fourth day of competition was not something one would wager a month’s salary on even with a bucketful of Hail Marys. Those days, I did not even have a cell phone yet. Besides, cell phones then were still of the sort that one could throw at somebody and cause severe physical injury. So, to get news about how the team was doing, I had somebody call long distance. This in itself was not an easy thing to accomplish. The Lipa City delegation was quartered in an elementary school some twenty or so kilometres from Calapan. In the middle of what was the very much a rural community, finding somewhere to place a long distance call was not easy. I do not recall exactly how the team’s sequence of matches went. 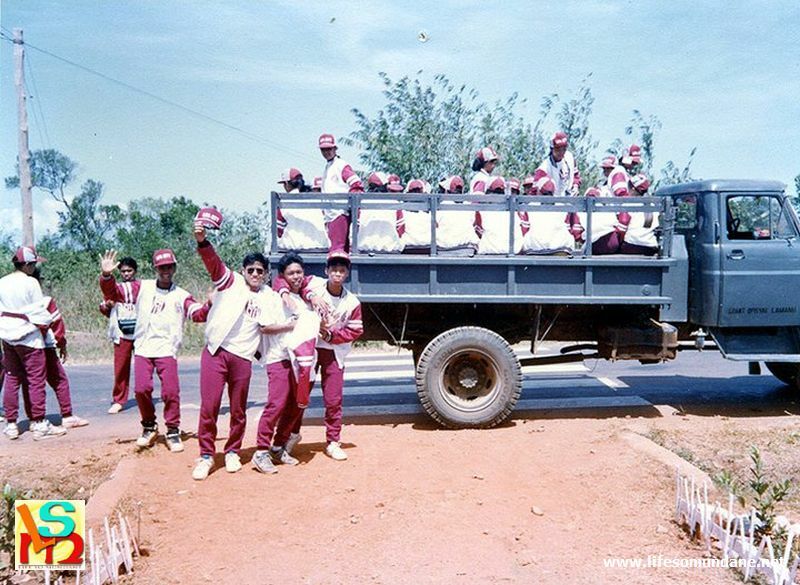 What I do recall is that I received word that the team lost for a second time – and was therefore eliminated – soon after we all waved goodbye to the Ambassador. Some of the boys wanted to know if I was still going. Hell, no! The team was in good hands, anyway; and since there were no more games to play, making the trip would have been wasteful and an unnecessary inconvenience. Besides, the entire delegation was due back on Saturday morning. Thursday morning and Brother Rafael was surprised to see me in school. He knew that I was supposed to travel to Calapan that day.